Athletic Movement Skills covers the underlying science and offers prescriptive advice on bridging the gap between scientist and practitioner so coaches and athletes can work together to achieve dominance. Movement is one of the foundations for athletic skill and an essential ingredient for excellence. 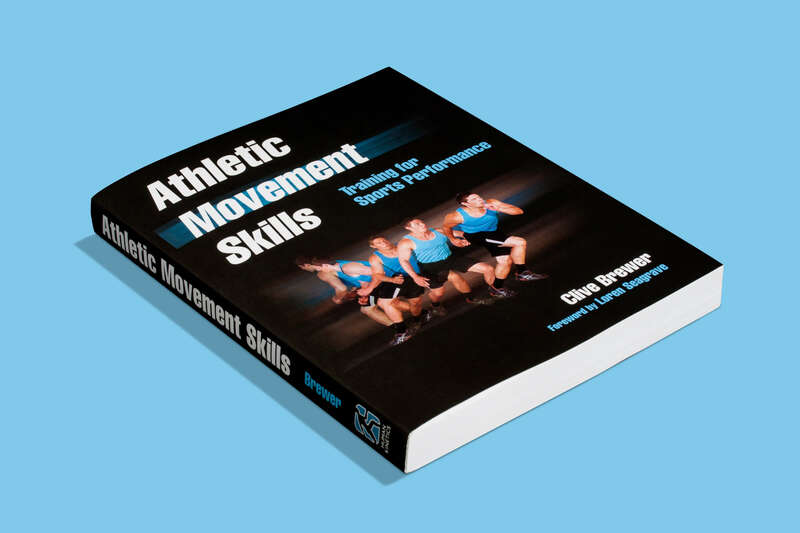 Athletic Movement Skills is the definitive resource for evaluating, correcting, training and turning your athletic movement into athletic dominance. This essential guide features hundreds of photo sequences and illustrations to help perfect speed, agility, strength and power-related movement skills. Athletic Movement Skills is available to buy now from humankinetics.com, priced at £22.99 / €27.60 (HK Rewards members £18.39 / €22.08). Clive Brewer is a world-recognised expert in high-performance sports conditioning, athlete development and applied sports science. He is currently the assistant director of high performance for the Toronto Blue Jays. Brewer has consulted with several other organizations around the globe. These include Manchester United FC, USA Football, Wimbledon tennis championships, the UK Strength and Conditioning Association, Scotland National Rugby League, Liverpool Ladies FC, the International Association of Athletics Federations (IAAF) and IMG Academy. Brewer was also head of strength and conditioning with Widnes Vikings Rugby League Club (2011-2014). Helping them achieve their highest Super League finish while reducing injuries by more than 18% each year. Sports Med global performance systems hired him as a consultant to support sports performance development for clients worldwide. He has held leadership roles as the head of human performance (strength and conditioning, science and medicine) with the Rugby Football League and SportScotland’s national programme manager for athlete development. Brewer is a member of the UK Strength and Conditioning Association (UKSCA), the National Strength and Conditioning Association and the British Association of Sport and Exercise Sciences. He is a chartered scientist with the Science Council in the UK. And he is also an original member of the British Olympic Association register of strength and conditioning coaches. Brewer earned The fellowship of the UKSCA award in recognition of his contribution to the industry in August 2015.